Today at the morning service we carry palm fronds in our hands as we process together, walking over palm branches laid on the ground. 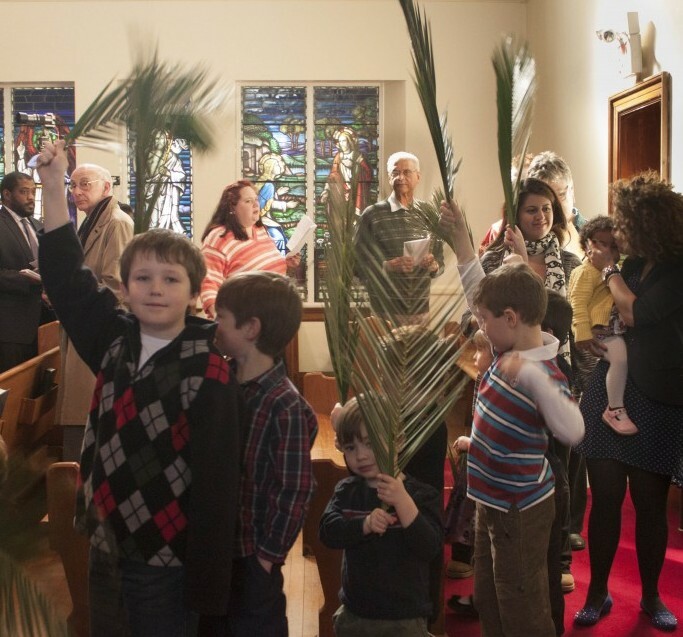 We do this to reenact and remember Jesus’ final entrance into Jerusalem, approaching the cross step by step. At the evening service, we will share an Agape Feast, a special service of liturgy, music, and prayers held while we eat a communal dinner, which culminates with the Eucharist. The church will provide the main dish for this meal, with the rest being potluck. All are welcome to bring something to share, but if unable to bring a dish, people are welcome to help with set up or clean up instead. When we gather on this first night of the Triduum, we remember Jesus’ last meal with his followers before his execution the next day (traditionally this is called the Institution of the Lord’s Supper). We also reenact an odd thing Jesus did that same night: he washed his disciples’ feet. 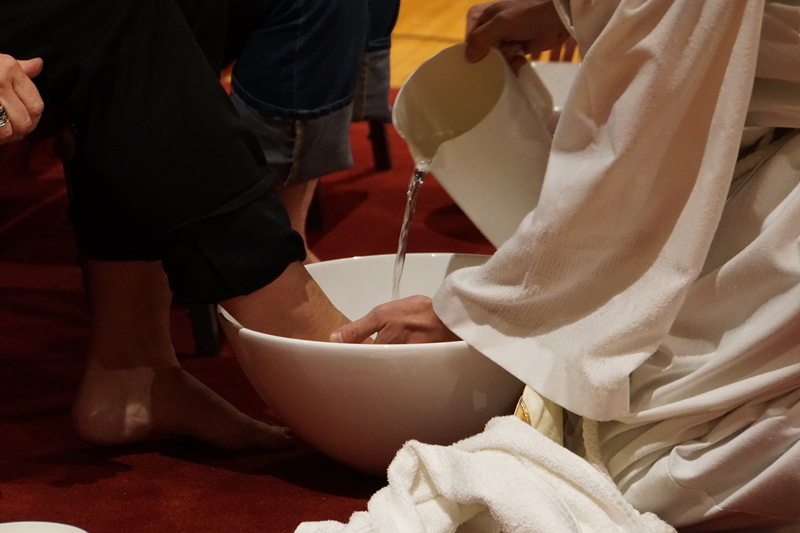 This ritual washing of feet reminds us how Jesus came to serve in love and that he invites us to join him. 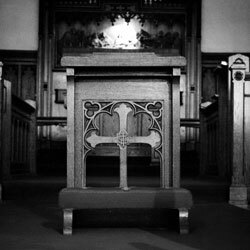 The service concludes in darkness as the sanctuary is stripped bare of any sign or symbol. 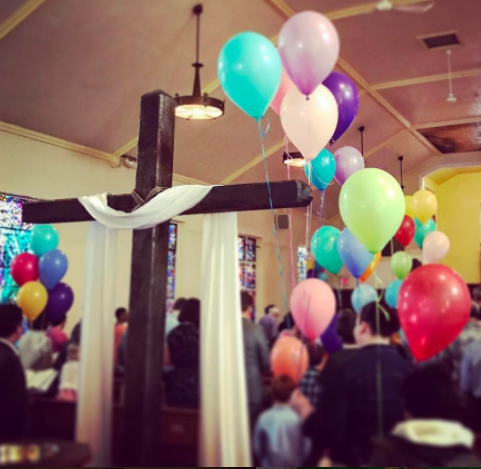 The congregation departs in silence, remembering the lonely path that led Jesus to the cross. 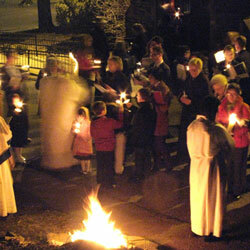 The Good Friday liturgy is one of the very few services throughout the year where we do not celebrate the Eucharist. This solemn liturgy draws us into the darkness of Good Friday, reflecting on the scandal of Jesus’ death on the cross — the moment when hope seemed to die. We spend our time in prayer and silence, leaning deeper into Holy Week.